Wall heaters are heating units that are installed in or attached directly to a wall. They are most commonly used in studio apartments, compact living spaces and smaller offices, because they generate a good amount of heat suitable for keeping small areas warm, yet don’t take up any valuable floor space. In the early 1950s, wall-mounted heaters became a common alternative to baseboard and portable space heaters in apartment buildings and home designs. But, are they still a good source of heat today? Let’s take a closer look at how an electric wall-mounted heater can keep you warm, how they’ve changed over the years and why you can save some money from using them. The wall heater was derived from the radiator. Radiators used boilers to heat water that flowed through the pipes of homes and apartment buildings. The water pipes led to radiator units made from cast iron, in turn heating the space. 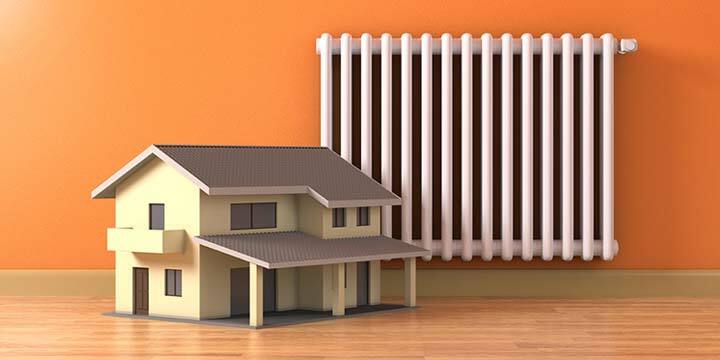 While there are many buildings and homes that still use radiators today, their popularity declined with the introduction of the gas heater. Gas heaters are installed directly on the walls, allowing for free-flowing heat. Gas heaters are lit from the bottom using a pilot light. They are a low-cost alternative to electric wall heaters. Early gas wall heaters required a ventilation system, but the ventless gas wall heater was invented later to eliminate the additional ventilation that posed problems for some people. Electric wall heaters followed the gas heater and continue to be a front runner in space-heating options. They consist of a metal body and an internal heating element. Early heating elements consisted of porcelain bricks, and as the designs evolved, tubes or heating coils replaced the traditional methods. The heating element is heated through the electrical current, and heat is expelled into your living space via the wall unit. Coiled wall heaters often are found in bathrooms due to the fact that they warm up in less than a minute’s time, providing optimal comfort and warmth. While bathroom heaters are turned on and off with a basic switch, wall heaters in homes and apartments typically include a temperature dial, allowing for simple temperature control. Wall heaters allow for additional space and optimal heat, but there also are certain safety concerns when it comes to these affordable and convenient units. While electric wall heaters do not use gas, chemicals or flames, the risk lies in the heated coils. It is always important to leave optimal space around the general area of the wall heater as well as to keep the area free of combustible objects, such as curtains or paper products, as well as flammable liquids, which would include air fresheners and cleaning products. Additionally, avoiding physical contact with the unit when it is in use minimizes the risk of accidental burns or injuries. Furniture placement also is important in regards to wall heaters. When upholstered chairs or couches are placed directly in front of the unit, the risk for fire is higher. This is due to the fact that the outflow of heat becomes trapped in a small area, and the heat build-up often leads to the upholstery sparking and catching fire. On top of the fire risk, you also want to avoid putting furniture directly in front of the wall unit, because it could limit the amount of space that is receiving the heat. Based on the same principles, you also want to make sure that your unit is not mounted anywhere near curtains. As a general rule of thumb, follow the 3-foot rule. Do not put anything within three feet of your wall heater. This applies to all types of heaters, not just the ones you mount on your wall. If you follow this, you will substantially lower your risk of fire. Of course, common sense, proper training and supervision is also recommended when you’re using any sort of heater. There are a number of reasons why somebody would benefit from a wall-mounted electric heater. Here are six main benefits you will get immediately. When operated with the proper safety precautions, wall-mounted heaters provide a variety of benefits for home and apartment dwellers. Many of these units will heat up within 60-120 seconds, providing fast and efficient heat when you need it the most. Wall heaters are also a great tool to use for supplemental heating. 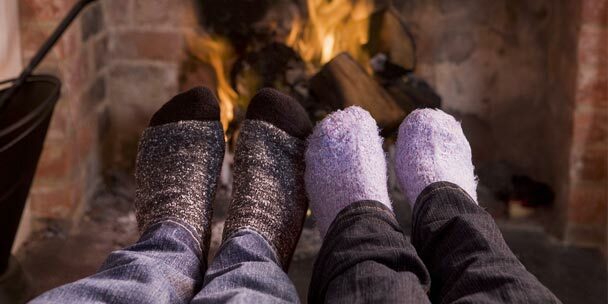 This strategy consists of using a low-cost heating device that uses minimal electricity to warm up the area you’re currently residing in, instead of heating up your entire home. Not only will this make your home more energy efficient, you’ll ultimately pay less when you receive your heating bill. We can’t stress it enough, supplemental heating is one of the best ways to lower your energy bills in the winter months. Electric wall-mounted heaters typically have a feature that allows for complete temperature control. This is a recommended feature that you should look for when buying a heater for yourself. Without having complete control of the temperature, you run the risk of having a temperature that is never quite right. Another great benefit, is that the heat from wall heater typically lasts for hours, even after the unit has been turned off. If it doesn’t, then you may want to check out how much insulation your home has or if there’s any drafty windows or doors. In addition to being cost-effective and convenient, wall-mounted heaters are great space savers. Because they are directly attached to a wall, they leave you with more floor space. 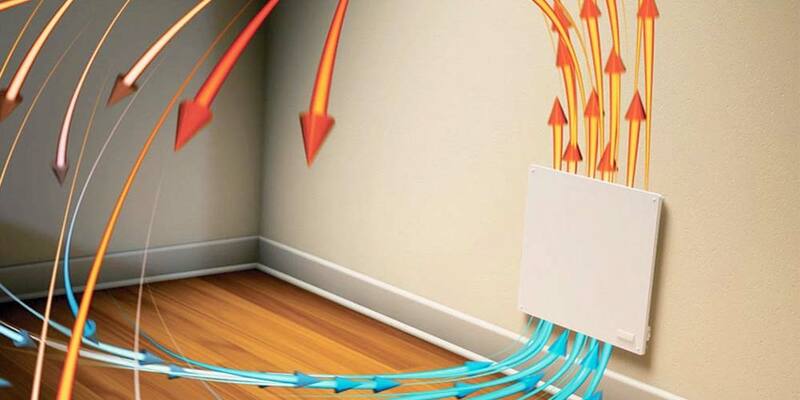 This is the main reason why this type of heater is an optimal choice for individuals living in smaller spaces. Wall heaters are easy to install and replace, and repairs are typically minimal. Installation is typically very easy. Just remember to attach it to a stud in the wall, and not just the sheet-rock. If something needs to be repaired, you can easily take it down and make the necessary repairs. Whether you want to save a little money or just want a quick way to warm up, electric wall-mounted heaters are quickly becoming a top contender as the best heating solution for apartment buildings, office buildings and small homes. These affordable units provide optimal warmth at the touch of a dial, and they are easy to maintain. Installing a heater on your wall is quick and easy. You also have several style and size options available to choose from. 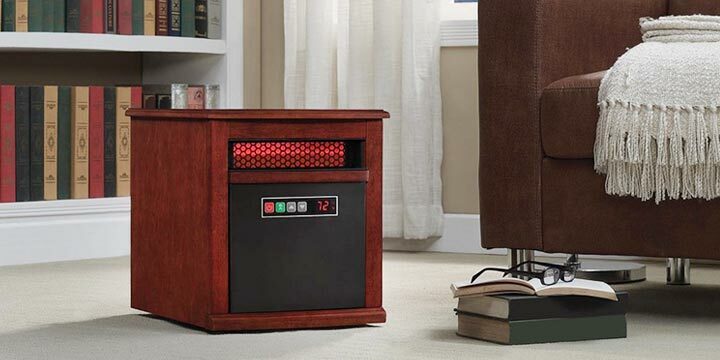 If you do your research and know the size you need to heat, this type of heater will provide you with safe, comfortable and cost-effective heat for many chilly nights ahead. I have questions not a comment. You say nothing about the wall insulation for a wall mounted gas bathroom heater. 1. What type of non-flammable insulation is needed to properly install a natural gas wall-mounted bathroom heater? 2. Can you please send an illustration with instructions to properly install the non-flammable insulation in exact order? 3. What manufacturing brand do you recommend for a gas wall-mounted heater that will give years of service and is 5-star rated? 4. How safe is it to leave a gas wall-mounted bathroom heater on 24/7? I had to remove my bathroom heater because it had a flame around a pipe that would not go out. The heater was over 50 years old. Please reply directly to my email address. Choosing the right wall heaters can be a difficult but in the end you must decide which model is right for you. Not all models are treated equal. It is best to find models with advanced safety features, such as auto switch-off and those that offer energy saving solutions. These heaters can save you a substantial amount of money if used properly. I work for a general contractor and we rarely do condo remodels. We are doing one right now and there is an unsightly wall furnace smack in the middle of the living room wall where furniture and a tv would go. Can a wall furnace in a condo be replaced with anything else? Will it effect the condo above? I need 2 in wall heater with fan for 2 bathrooms. Opening is for 9″x18″ in wall heater. What is Best Buy you have??? I am building a tiny house of 120 Sq ft. I am totally off grid and wouge ld like either a propane wall heater or an electric one that can run on my solar power (this is preferred). I am able to run a mini fridge with cross top freezer on my solar system. I am not able to run a 1500 watt electric space heater on it. I am a church treasurer and we are seeking ways to lower or monthly utility bill. We currently have a huge boiler that costs us on average $3000 a month in the winter months. And repairs are just as costly. Is it possible to hear a decent size sanctuary and offices with wall units? Or are wall units specific for smaller spaces? 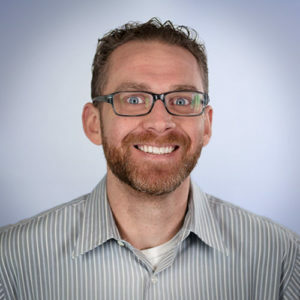 have seven room, one floor condo in Seattle…with wall heaters in each room when leaving the house from one to six hours or for that matter overnight Is it wise to turn the thermostats all the way off? Someone stole the central heating system at our house. Would it work good enough to put heaters in each room? I had my heater over 5years!!!! Im just now using It since the first time i bought it. Its a little dusty but it works great. This is really interesting information about electric heaters. My wife and I live in an old house, and our furnace isn’t enough to keep it warm. We have been looking for a good electric heater to supplement our system. I like that you mentioned that the heat from a wall heater lasts for a while even after it is turned off. That sounds really efficient. I noticed that my wall heater had the knob turned to ON and the pilot light was off when i checked it underneath.would that bring up my bill it propely was like that for a month or so. Could it cause headaches cause i remember getting random headaches? Thanks for your comment about how having a heater on the wall is nice in small living places. I like how you said that heaters can make you warm quickly in little areas. My husband is considering looking for parts for sale to make some repairs to ours. I live in Los Angeles and am not a fan because the warm air just goes right up to the ceiling above the heater and stays there. Many homes in SoCal aren’t insulated, either. Without insulation and proper circulation of the air, I’m just warming precisely the unusable space of my home. I HAve a Thompson horizontal wall heater attached and vented through a log in cabin to vent outdoors. It is old but works well except the blower is not working . Is there a part that I can easily replace. The motor pulses on and off with temp. setting, but it is not circulating the warm airl – so feel it needs a replacement motor for fan. 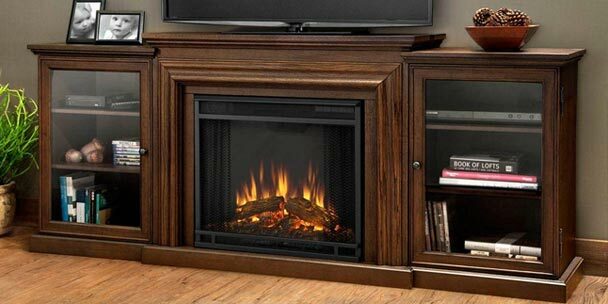 Can a ceramic wall mount (read surface mount) heater be safely mounted on a painted wood paneled wall. Manufacturer says surface should withstand 194F. I have a dyno-glow blue flame 30,000 but wall mount. It is on a sheetrock wall. The wall gets really hot about 300 to 380 degrees on low is this safe? This doesn’t seem right should it get this hot?